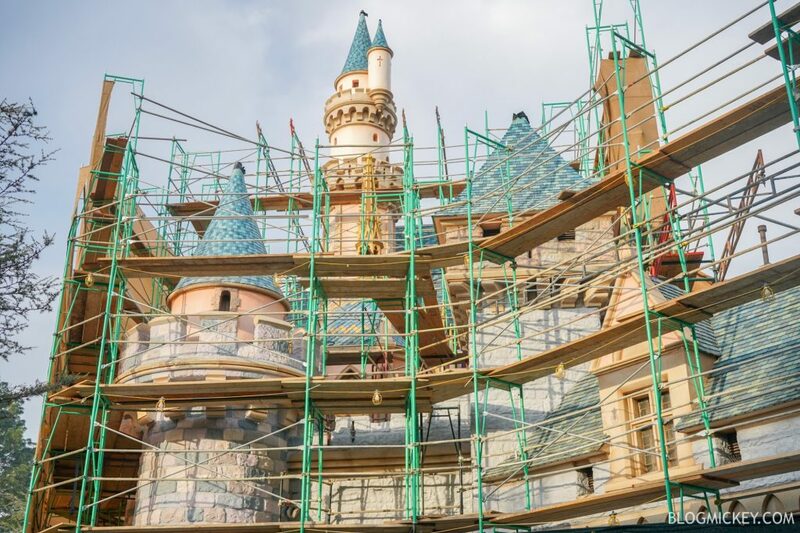 We visited Disneyland recently and took some time to take a look at the latest progress on the Sleeping Beauty Castle renovation project. We first found out about the project when permits were filed late last year to replace the roof. 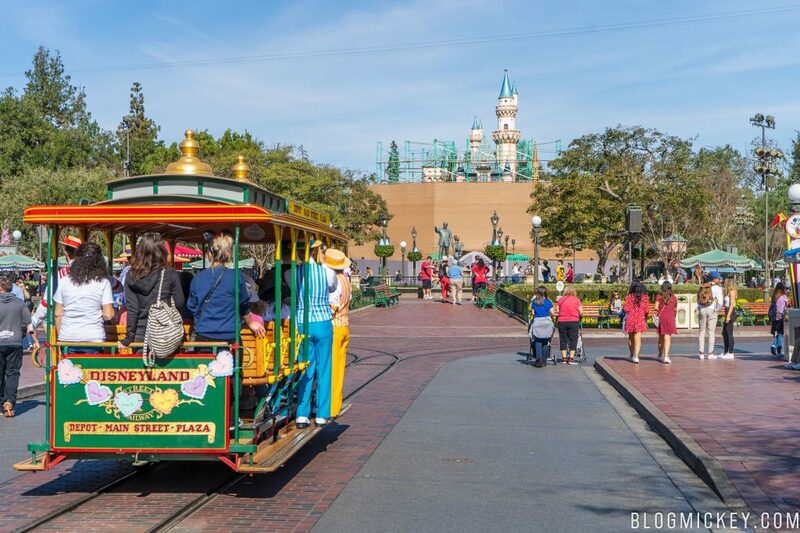 It seems like Disney’s plans were to not only replace the roof, but also to give the iconic centerpiece an updated and fresh look. 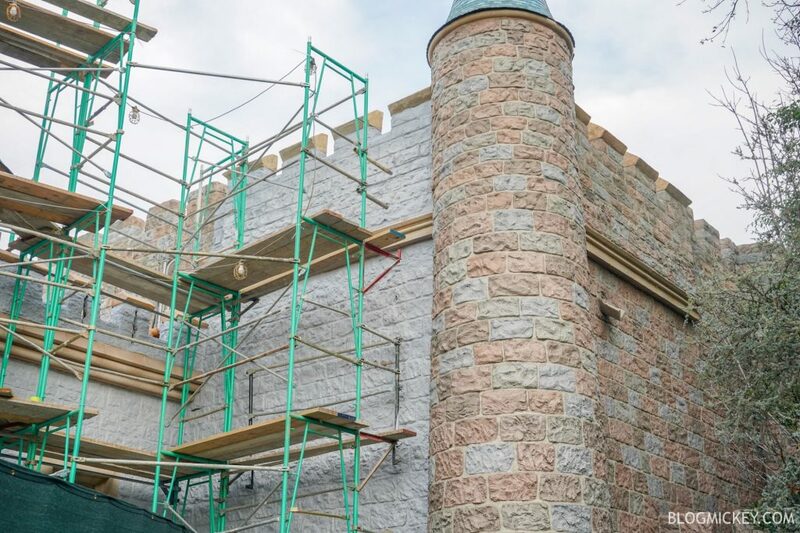 The changes are outlined on a construction wall in front of the castle, but more on that in a bit. First, here’s the look that we had on the first day of our visit. 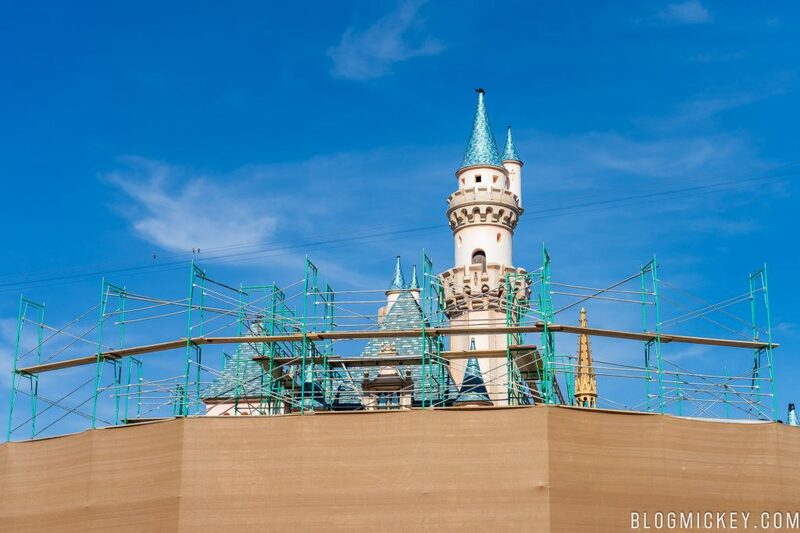 Since then, even more scaffolding and tarps have wrapped up what little view of Sleeping Beauty Castle we had. 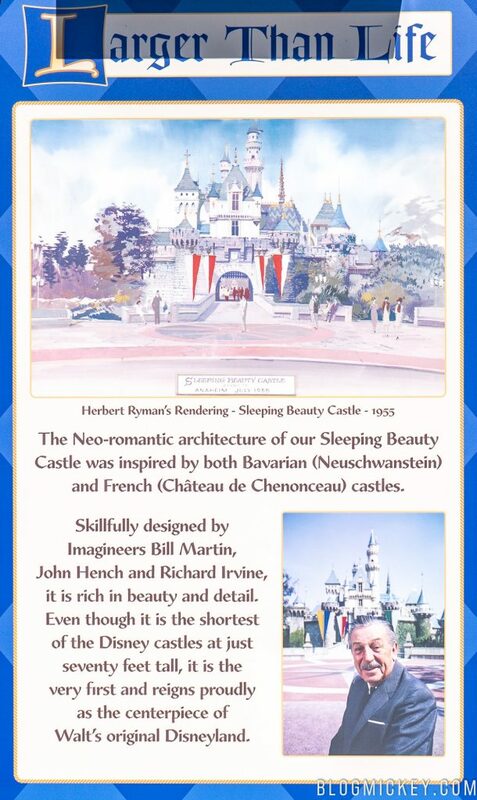 Of course, this isn’t the first time we’ve visited a Disney park with castle construction. 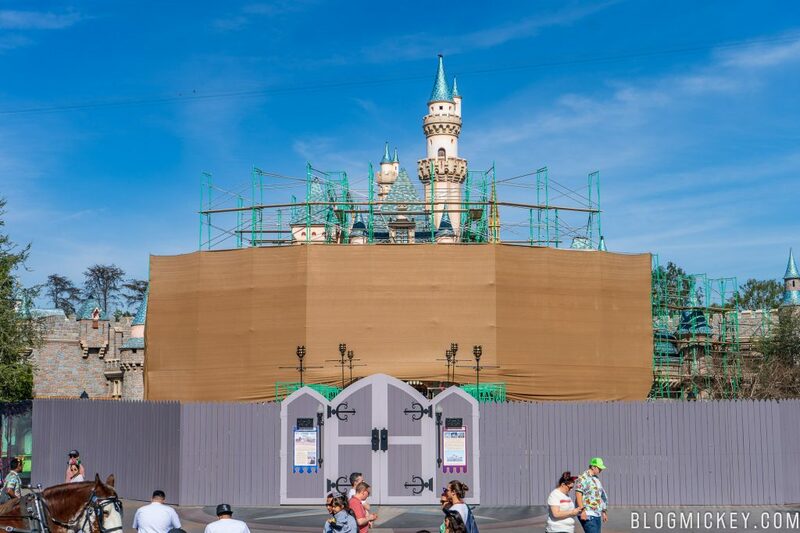 Back in October, we visited Hong Kong Disneyland and their castle is in the middle of a multi-year transformation. 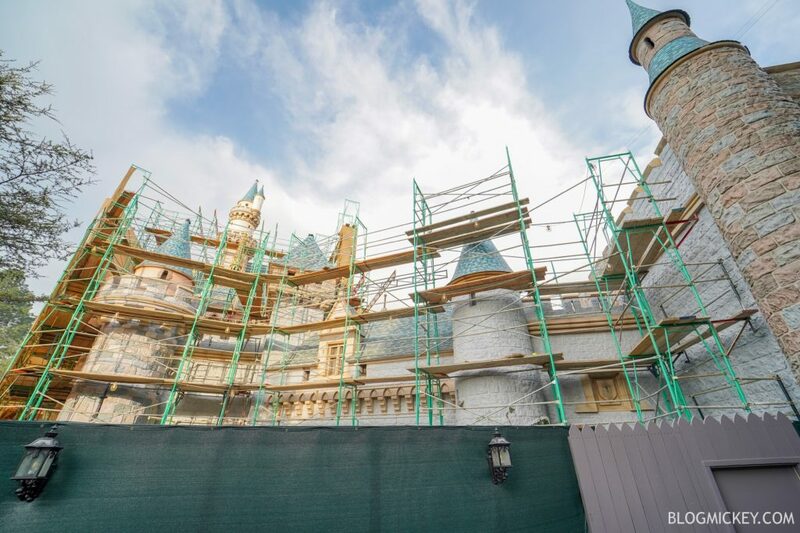 Here’s a look at the Sleeping Beauty Castle renovation from just past the Partners Statue. A closer and wider look at what are pretty much bare walls. 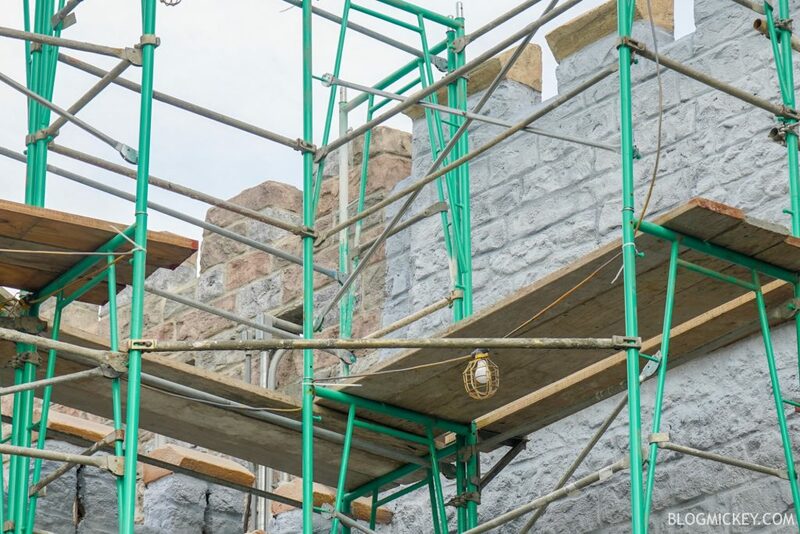 Disney recently announced Project Stardust, which is a park-wide effort to essentially prepare for the opening of Star Wars: Galaxy’s Edge this summer. 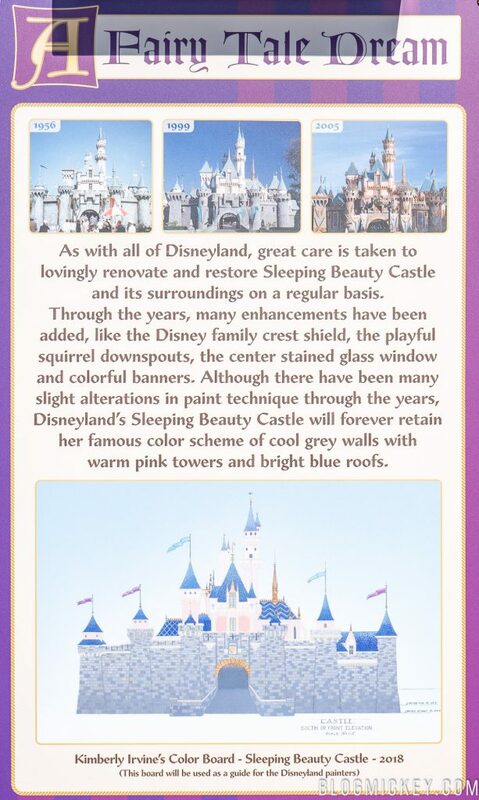 The Sleeping Beauty Castle renovation is part of that project. 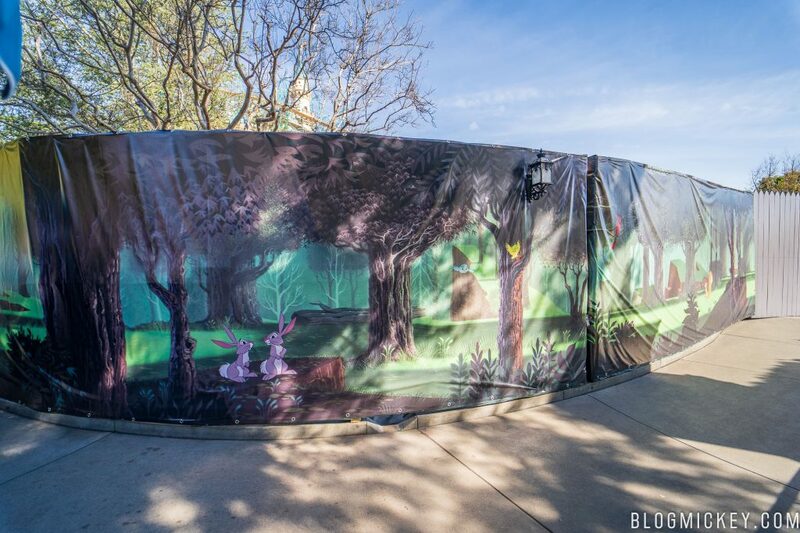 Two posters on the construction walls outline the past and the future of Sleeping Beauty Castle. 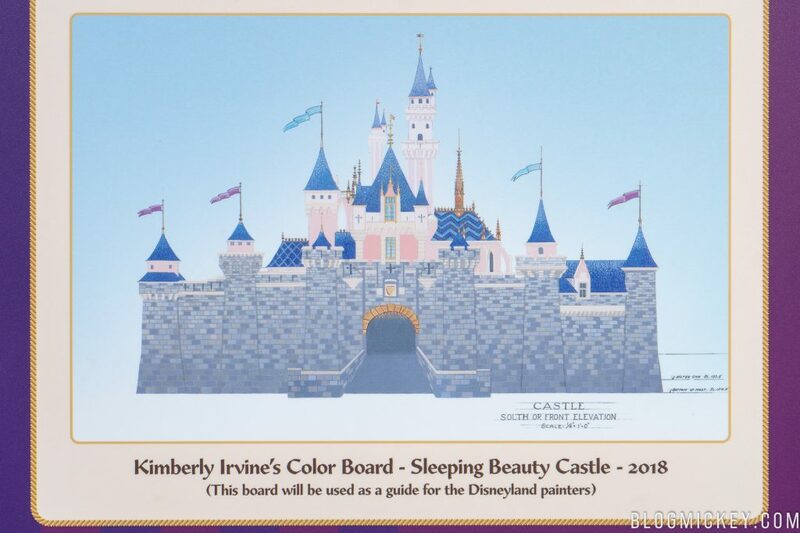 Here’s a closer look at the updated color scheme for the castle. On the left side of Sleeping Beauty Castle, themed tarp has been added. Here’s a peek past the wall at the work taking place on the other side. 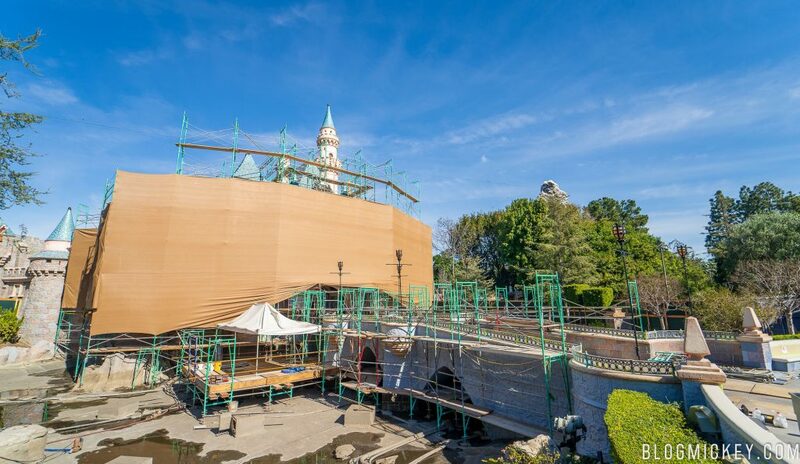 From near the Wishing Well, the repainting is visible. It’s likely that the grey is simply a base paint being applied to the facade. 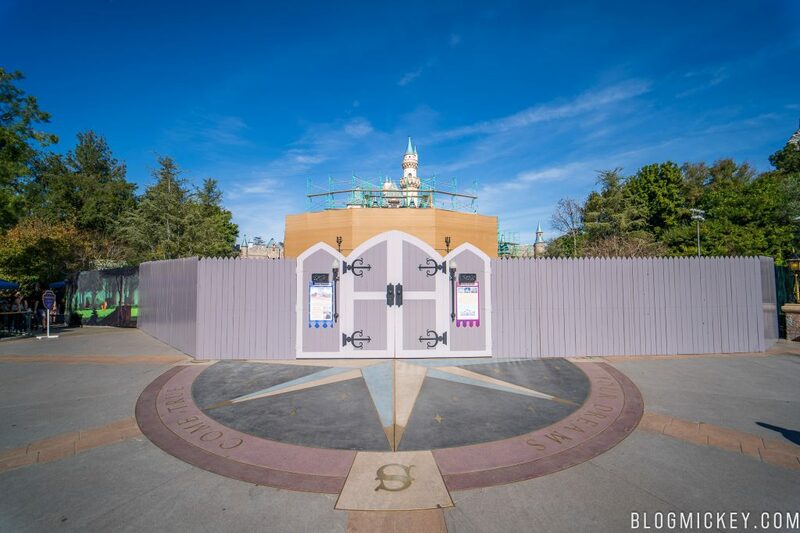 Just like the nearby Astro Orbitor, Sleeping Beauty Castle is scheduled to reopen in Spring 2019, ahead of the opening of Star Wars: Galaxy’s Edge this Summer.